New Microsoft Azure virtual machines make it easier to work with huge amounts of information. 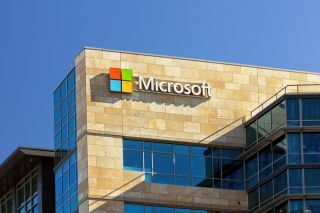 Microsoft has revealed a major upgrade in the computing power of its UK data centres with a significant new launch today. The new G-Series, H-Series and N-Series virtual machines will allow developers to create multiple copies of their own computer to increase computing power, meaning they can manage and work with bigger amounts of information with greater ease than ever before. The launch makes Microsoft the first company to bring graphics processing units to data centres in this country, and the first hyperscale cloud provider to offer virtual machines that can run graphics intensive workloads in the UK. Included in the new launch is the the H-Series VM, which is designed for businesses working on complex and data-hungry engineering and scientific tasks such as computational fluid dynamics, crash simulations, seismic exploration and weather forecasting simulations. The new VMs will deliver much more computing power to allow this work to be done smoothly and quickly, without the lag and slowdown that some computers and virtual machines suffer from. Also launching today are N-Series VMs powered by NVIDIA graphics processing units, which can run deep learning training jobs, high-performance computer simulations, rendering, real-time data analytics, DNA sequencing, and the new G-Series VM, powered by the Intel Xeon processor E5 v3 family. The services are available from today to customers located within Microsoft's UK South data region, which launched last September alongside its UK West data centre in Cardiff. “Microsoft’s UK data centres offer unrivalled opportunities for companies of all sizes in this country to unlock their growth potential," said Graham Hill, senior director of business strategy at Microsoft.